Margaret Tafoya, grandmother of Jeff Roller. 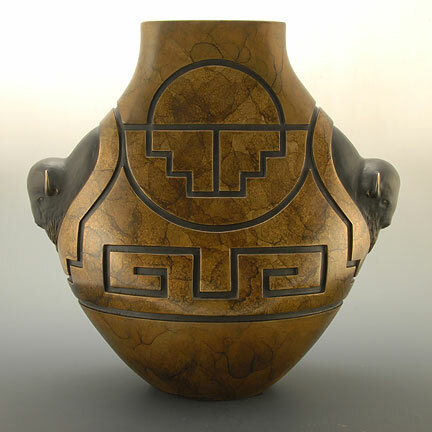 Jeff Roller is among the sixth generation of potters in the Tafoya family, from Santa Clara Pueblo in New Mexico’s Rio Grande River Valley. 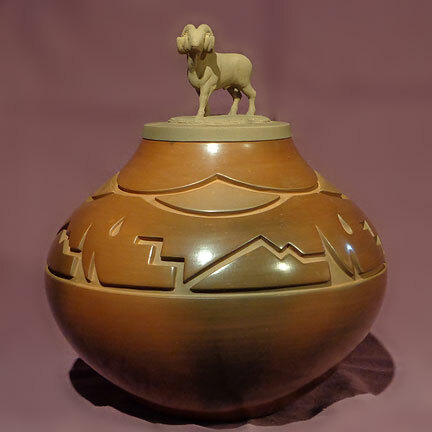 As the son of Toni Roller and grandson of Margaret Tafoya, he was exposed to the finest work in traditional pueblo pottery. He began making his own pottery at the age of nine. Growing up, Jeff worked on pottery mostly during the summertime and exhibited his work along side his mother at various shows. As a young adult, Jeff established himself as an award winning artist and in 1988 he left his job as an engineering technician with the State of New Mexico and devoted himself full time to his work as an artist. Jeff remained true to traditional Santa Clara pottery in the spirit of his grandmother, but he also started to develop an absolutely unique style in traditionally made pottery. This included sculpted animal figures on lids and sculpted animal busts which emerge from various shapes of pots. This style of pieces became a deep passion and Jeff's sculpting abilities developed and grew over time. 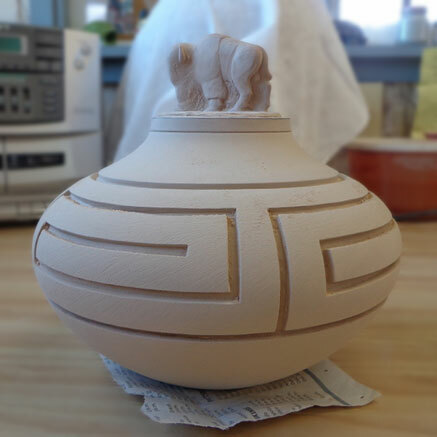 Today, Jeff's sculpted pottery stands alone in traditional pueblo art. His finely crafted work can be clean and simple or complex and majestic, but always demonstrates masterful design. Each piece is unique and to be cherished. 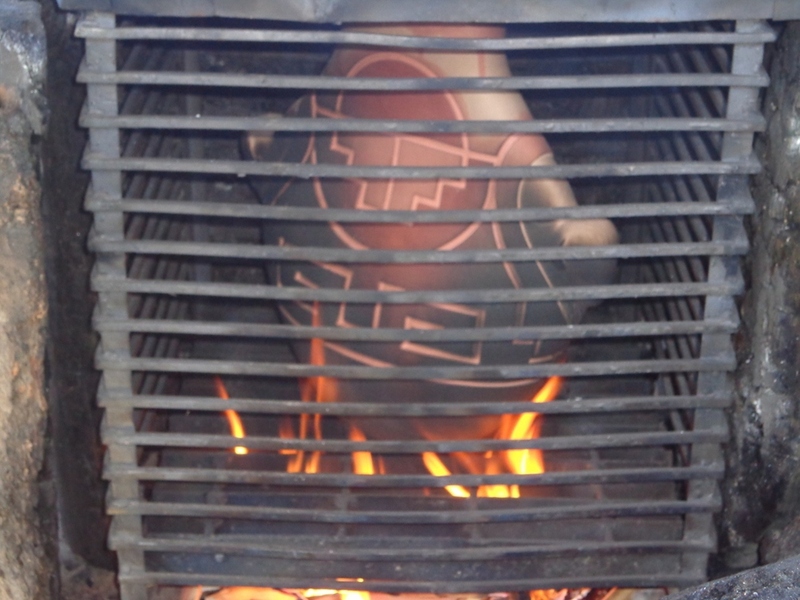 Jeff produces various shades of color while firing his pieces in a traditional manner. "My grandmother and great grandmother experimented in various ways to create red and brown colored pieces as well as the well known highly polished black. I love their creativity with color, design and shape as they developed their work from utilitarian to a higher quality. A true art form." 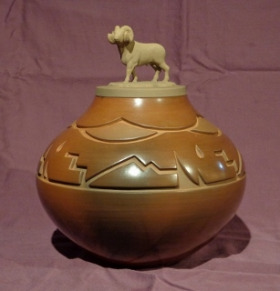 Jeff's Grandmother Margaret and Great Grandmother Sarafina were likely the first to sell pueblo pottery. 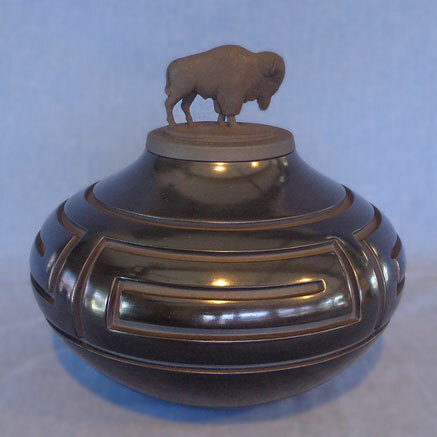 People who were traveling through the reservation by way of train in the early 1900's, would purchase vegetables, fruit and other items from Margaret and Sarafina when these people became interested in the bowls and pots that these items were being carried in. They then decided that if their pottery is going to be sold, they should make them as well as they can. 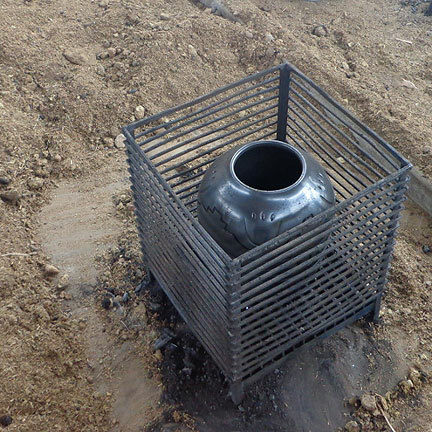 "I am so grateful and proud of the knowledge of pottery making that was handed down to me. I do feel obligated to continue making pottery in the traditional ways of Sarafina, Margaret and My mother Toni Roller."